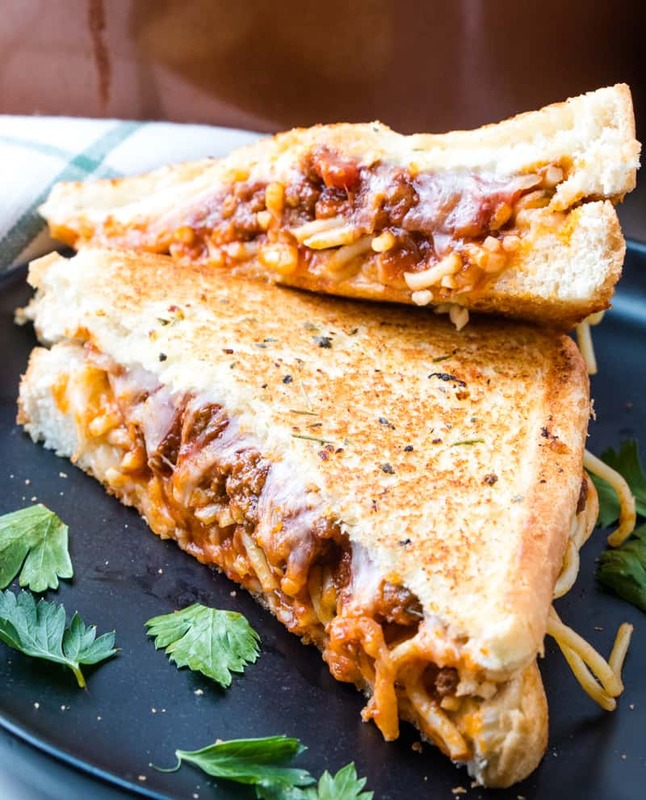 So this is super untraditional, and I’m not sure if you’ve ever really heard of such of a sandwich but this Grilled Cheese Spaghetti Sandwich is EPIC. Lets just say that you make a batch of spaghetti and you have leftovers, like we all do because lets face it when we make spaghetti we either don’t make enough or we make too much, I’m on the too much portion of this end. When it comes to this Spaghetti Sandwich, it literally has a full meal all in one. 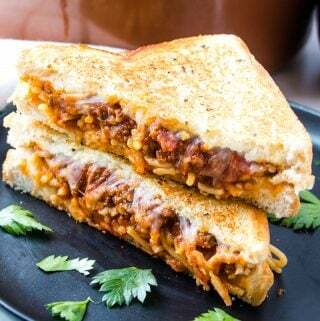 You have your grilled garlic bread, your spaghetti, meat sauce and cheese, but all squished together. This has become our favorite sandwich in our house. It was something I actually whipped together when I was younger and always ate as munchie food, you know when I wasn’t trying to be so healthy, but in reality it’s not different than eating a regular spaghetti meal right? Anyways, this sandwich is life. I finally was able to introduce it to my kids and they could not get enough. I cannot make that more clear of how much they loved this when they first tried it. Make your spaghetti sauce, you can make homemade or just use jarred with hamburger (our homemade is linked). In a bowl stir together softened butter, minced garlic, garlic powder and Italian seasoning. In a large pan heat on low heat, spread some of your butter on one side of your Texas toast and place in pan. Place one slice of mozzarella cheese on top then add a little bit of spaghetti, top with some spaghetti sauce then another slice of mozzarella cheese. Finally add your other slice of texas toast and spread with a little more butter. Cover your pan with a lid and let grill slowly, we do this to make sure the cheese melts and it browns well. Flip your sandwich and repeat. Remove from pan and let sit for a few minutes to let cheese really melt and then slice in half if desired. We really don’t have any precise measurements for this recipe, it’s just one of those fun things you can make with leftover spaghetti or alongside your spaghetti meal in case anyone wants a sandwich instead. 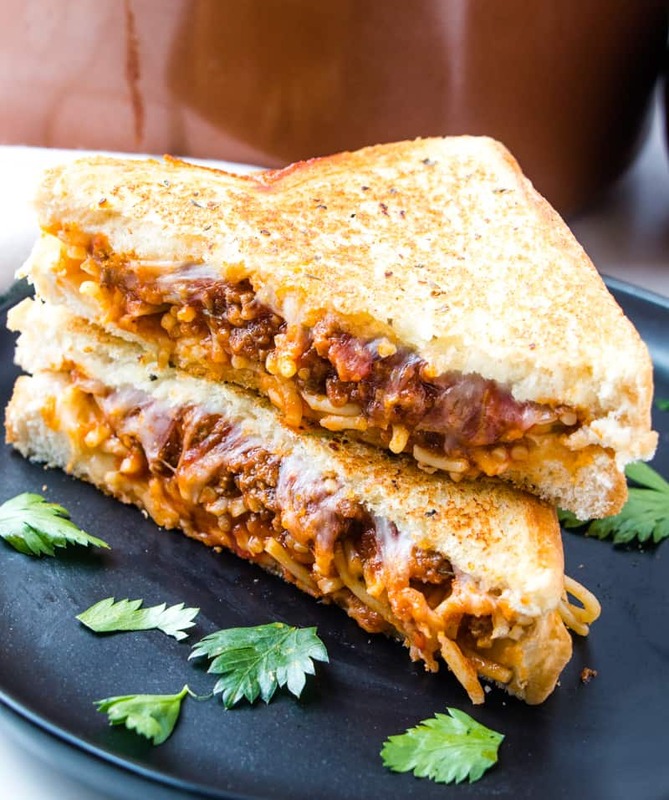 This Spaghetti Sandwich is literally something that you have to try at least once in your life, I know it sound kind of weird and off-putting but seriously, to die for! 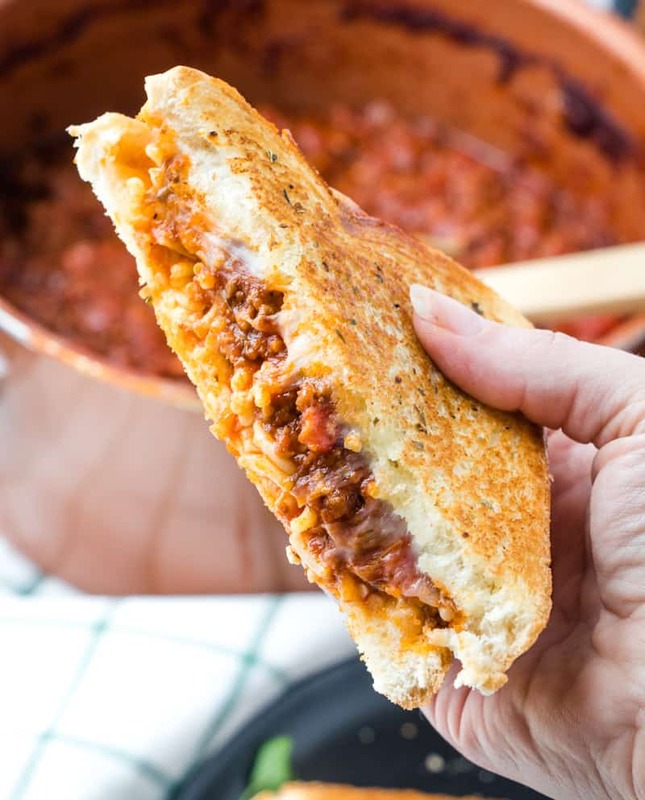 Use Texas Toast bread, the thicker bread really holds this sandwich together, you can also use there frozen version in the freezer section but it will be a smaller sandwich. Use sliced mozzarella cheese, you can use shredded in a pinch or even fresh off the ball but we have found the best results in having the sandwich hold together using sliced. Make homemade spaghetti sauce, totally worth it, it freezes well and you will always have someone hand when you get the craving. 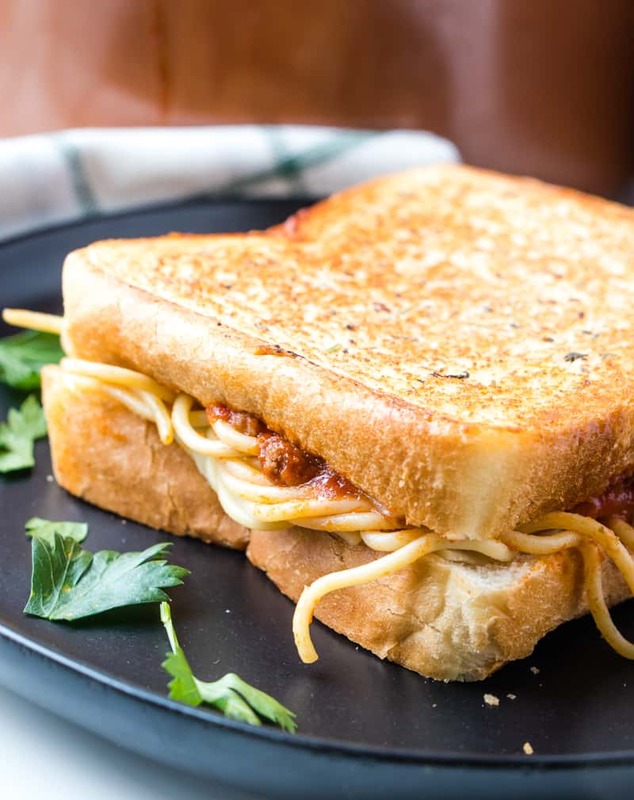 If you are looking for a fun all-in-one supper for there kids or adults that really want to get their taste buds flying then you need to whip up these Spaghetti Sandwiches ASAP! In a bowl stir together softened butter, minced garlic, garlic powder and Italian seasoning.In a large pan heat on low heat, spread some of your butter on one side of your Texas toast and place in pan. My kids thought this was the BEST THING EVER!!! yes please! so dang good! This is so much fun! Definitely a family favorite!